See how they're building "every cricketer's dream"
Created with the blood, sweat and tears of three passionate and committed cricket people, Tails Never Fails (TNF) is the result of years of experience, business expertise and our feeling of being genuinely underwhelmed at the lack of quality facilities available to the cricket community. Launched in October 2015, now we have a remarkable home that is every cricketer’s dream. It really is a one-stop shop for all things cricket — with a couple of surprises as well. The epicenter of the facility is a world-class, purpose-built high-performance cricket center that caters to cricket lovers of all ages and abilities. It’s about providing the ultimate service, whether you’re a weekend warrior or preparing for an international series. Every detail was meticulously researched, tested and explored. From actual turf-colored pitches to sightscreens for both red and white balls, we left nothing to chance and the result has even exceeded our own high expectations. We had to provide a never-before seen quality facility that allowed people to improve. 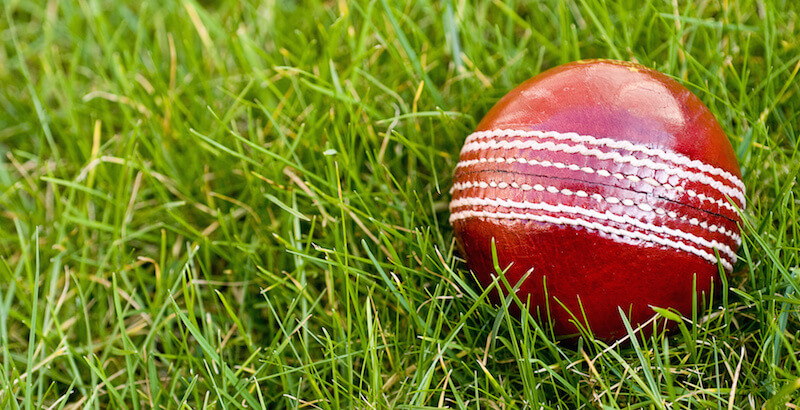 Under the TNF umbrella, we run TNF CRICKET, a direct-to-consumer superstore stocking our widely regarded equipment with expert advice and renowned customer service. The entire equipment range is designed by us in-house at Oakleigh. We also run Young Gun Cricket, innovative coaching and cricket education solutions tailored to players of all ages and abilities; Glow Cricket, Australia’s only glow-in-the-dark sports parties, UV cricket, and corporate events; and Fit4Cricket, a strength and conditioning service specifically designed to improve cricket performance. And with everything we have going on, I have to say: Thank god for Redbooth! Before Redbooth, we were simply living moment-to-moment and riding the roller coaster ride of a startup with limited resources and minimal processes. To try to keep myself organized, I would write down each and every day what I wanted to achieve, then tick and even highlight the tasks in color when I completed them. I would find myself writing a massive list but only getting through half of it. Then the next day I’d be writing that same list and feeling stressed that a task was on the list again and again and again. These are the kinds of questions we were asking daily — and often, the answers weren’t good, due to the disorganized nature of our business. Through no one’s fault but our own, we simply weren’t being smart with our task management…until we implemented Redbooth. It was our graphic designer, Jack Pearson, who let us know that we needed a better way to stay organized. Jack explained to us that we needed a technology platform to give us structure, accountability and ultimately straighten us up internally. 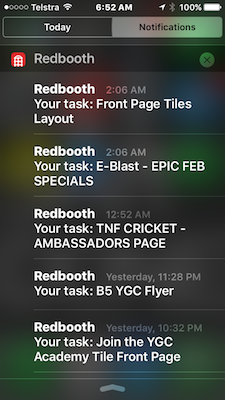 We first deployed Redbooth almost a year ago, and we use it every day, across all facets of our businesses. We continue to find ourselves referring to it more and more each day in general conversations, which means that it is working for us. With so much happening under one roof we have a lot to organize, delegate and execute every day, week, month, and quarter. Redbooth has made this possible, enabling us to keep up with demand and deliver on our customers’ needs. Jack has actually moved from Australia back to the UK, and he works for us full-time over there. Each morning, he wakes to an updated Redbooth dashboard with all of our tasks and timelines clearly outlined for him to execute. We choose to communicate for about 30 minutes via Redbooth’s built-in videoconferencing each night here in Australia as he works through what is in store for him each day before jumping in. Then when we wake up the next morning after a much-needed rest, we have an abundance of tasks completed and/or questions in the ‘booth’ that have been delegated back to the relevant staff member — and we can get on with our exciting day that lies ahead. I will often wake with much anticipation of what has been completed overnight by Jack and sent back to me. Seeing a screen starts the day in a very positive manner for me. Using Redbooth at TNF has led to greater efficiency, less stress with timelines, and greater planning with increased productivity. But most importantly, it is very, very easy to use — and to teach to others new to the product. We have now chosen not to communicate internally via email due to the amount of email time that we were all wasting. If we have something that needs to be done internally in our business, we simply create a task, upload the relevant details in order to achieve it, and delegate it to the relevant staff member. Easy! The motivation to complete tasks and see the boxes in Redbooth ticked and filed is huge for me. I am an avid task list person! Before Redbooth, we were flying by the seat of our pants and whatever was “hot” was getting done — and the most of the time, the important tasks that were not pressing on that particular day would be shuffled aside. Now we can see what is pressing now, next week and in a month’s time. For those who find themselves scribbling in a diary each day their tasks and then getting to the next day with unfinished business, it can be depressing and stressful. With Redbooth, if I haven’t completed the task sure it can be stressful as it may be urgent, well I simply click “urgent” and know that tomorrow morning that is the first task that I complete. Using Redbooth is a no-brainer if you need structure and accountability, not only for yourself but for all of your staff and colleagues. We will most certainly continue to use it as we grow and expand TNF here in Australia and internationally…for us, it’s like eating toast with Vegemite every morning. It’s just now an essential part of our day! Michael is a trailblazer in the Australian cricket industry. Based in Melbourne, he is a Director of the TNF group of companies, which help cricketers of all ages and abilities achieve their sporting ambitions. He brings an in-depth knowledge of retail operations, equipment design, international manufacturing, franchising and business development. His unrivaled passion for all things cricket has enabled Tails Never Fails to transition from ambitious startup to becoming one of Australia’s leading cricket experts.